“We regret the decision of the Braunschweig Administrative Court. Our customers will not be affected. All previously booked Etihad Airways/airberlin codeshare flights will operate as planned. 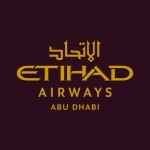 Etihad Airways is deeply disappointed by the German court’s decision handed down today. We are reviewing the judgement and will file an appeal against the decision early next week. Etihad Airways owns 29.2 per cent of airberlin, Germany’s second largest airline. At a recent press conference presided over by Guam Governor Mr. Eddie Baza Calvo, Dusit International CEO Mr Chanin Donavanik and Guam Visitors Bureau General Manager Mr. Jon Nathan Denight, the Dusit Thani Guam Resort officially opened its doors to a new wave of visitors to the island. City trips are world’s top growth segment. Positive outlook despite Paris attacks, ITB World Travel Trends Report finds. 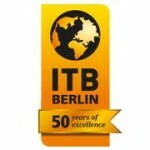 Latest surveys by the IPK World Travel Monitor® published exclusively by ITB Berlin. City trips are the fastest-growing part of the international leisure travel market as Europeans, Asians, North and South Americans head for attractive destinations in nearby countries and also overseas. The outlook for the market segment remains positive despite the short-term impact of the terror attacks in Paris, according to experts. 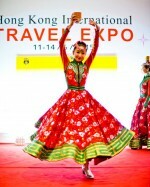 ITE & MICE – Travel Fair to tap big source markets of Hong Kong and southern China. From Travel Industry Council (TIC) Hong Kong, luxury tours in Christmas 2015 to all destinations cost 6% more, but luxury tour to Europe up 17% while ordinary 6% more! These numbers reflect the popularity of Europe as destination and luxury travel in Hong Kong which is a substantial source market! The Thai tourism industry hit a new record with the arrival of the 29 millionth visitor today, surpassing the projected target of 28.8 million and still counting. Ms. Elena Slobodian, from Russia Federation, the 29 millionth tourist, also dubbed ‘Thailand’s Luckiest Visitor’, was greeted at Suvarnabhumi Airport with a warm welcoming ceremony by senior executives of the Tourism Authority of Thailand (TAT), Airports of Thailand (AOT), the Immigration Bureau, Thai Airways International and True Corporation.